Have you been trying hard to acquire customers for your online business? Are you not satisfied with the amount of customers you are getting through social networks? Well, you must be going wrong somewhere. Read the blog and you will get to know the right way to use social media in order to generate more sales. So, here we go..
What if your Facebook page acts as an ecommerce store? Won’t it be great? You can do so by installing an ecommerce app on your Facebook page. Just start a storefront, add your products, and you are ready to sell. If you find yourself confused regarding choosing the platform, it’s better to make use of recommendation engines by means of which you can find the most suitable ecommerce app for your requirements. Remarketing on social networks like Facebook will help you sell your products and services in the most efficient way. Wondering how? Well, The process will not only influence potential customers to get engaged with the product, but will also help retain existing customers as well. That being said, it gives you an opportunity to target people who have already visited or purchased from your website earlier. See how can you use the process. If a user left your website without buying your product, you can re-target the user and influence the person to purchase the product. This process of customer acquisition will simply encourage the user to join the list of your customers. Why don’t you go for customer retention? Yes! Selling your products to the customers who have already purchased your product will give you better chances of selling your product. Moreover, it will help you enhance the ROI of your business. Social media, apart from promoting a brand, allow you to build strong relationship with your followers. How can you do so? Simple follow the 80/20 rule when sharing your content. This means when you share 5 stories on your timeline, you must include one promotional story or content. 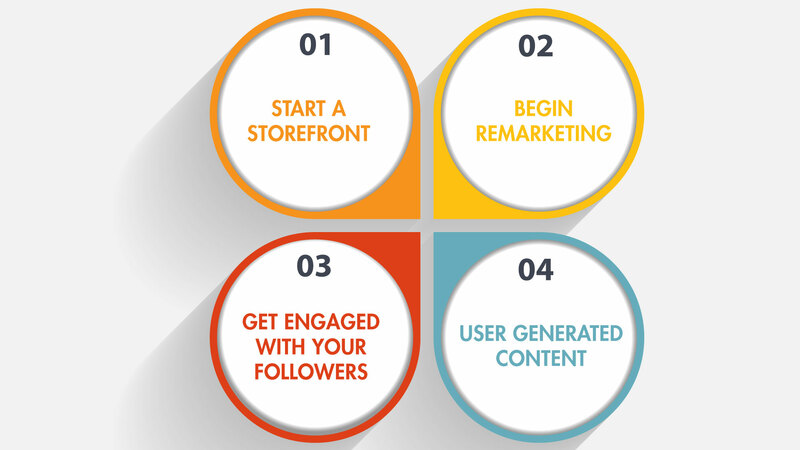 This ultimate social media strategy will help you acquire loyal customers for your business. Now that you have a sufficient follower base on your social sites, you can make use of the existing followers to grow your business further. Well, you can do so by influencing your followers to share their experiences. This user generated content will give your brand an exposure, thus enhancing the sales of your product to a great extent. Performing the steps given above can easily help you enhance the list of your customers. If you are looking for the best digital marketing company that can help you make the loyal customers, Mamsys Consultancy Services is the one that can help you grow your business. Get efficient social media services and let your social media users be your customers.